Their names are now synonymous with “classical modernism” in art: Paul Klee (1879-1940) and Wassily Kandinsky (1866-1944) were avant-garde and pioneers of abstract art. Now the Zentrum Paul Klee in Bern is exhibiting a unique selection of works of the two masters. Klee and Kandinsky first met in 1911 as neighbours in the northern Munich borough of Schwabing. In 1922, their paths crossed again at the famous Bauhaus art school in Weimar. In 1925, they moved to Dessau where the Bauhaus school was relocated. There they lived next door to the newly built houses designed by the modernist architect Walter Gropius, who was also one of the founders of the Bauhaus school. In 1933, they were separated by the events of contemporary history: When the National Socialists seized power in Germany Kandinsky emigrated to Paris while Klee returned to his native Switzerland. “Their relationship was shaped by mutual inspiration and support, but also by rivalry and competition – a combination that spurred both of them on in their artistic work,” writes the Zentrum Paul Klee. The exhibition is a collaboration of the Zentrum Paul Klee with the Städtische Galerie im Lenbachhaus Munich, where it will be presented from October 21. In Bern, the exhibition is open until 27 September. What do you get when you combine an American saxophonist, a self-proclaimed “total gringo” bassist and a French drummer, playing progressive jazz in Europe? There’s no one-size-fits-all answer. But The Kandinsky Effect, composed of Warren Walker (saxophone), Gael Petrina (acoustic and electric bass) and Gautier Garrigue (drums), sure as heck blow the roof off the joint trying to figure it out for themselves. —like tension and release. But make no mistake, he is merely following the beat set by Petrina, whose bass is ever-present. Walker then lays out, leading to a short composed section and a Garrigue solo accompanied by Petrina. Remarkably, in the middle of the solo, both players halve the tempo at the same exact moment, and then pick up again. A blip on the radar screen, but something only two simpatico players at their most in-the-moment could have accomplished. The rest of the tune devolves into a series of echoes and electronic effects backed by Garrigue’s staunch groove, before returning to the original quick theme. The group’s single mind is able to make what could very easily be a complicated listen into 6:34 of bliss. Then there is the instrumentation. Saxophone, bass and drums is a notoriously difficult idiom with which to keep listeners interested, as noted here. But it’s the variations on the traditional trio that make this album one that listeners will return to time and again. Walker’s use of effects, both through his saxophone and otherwise, is new and different but always tasteful, while Petrina’s electric bass proves quite refreshing. With spare instrumentation such as this, the tendency is often to overplay in order to fill the void, but at no point does The Kandinsky Effect try to do too much. The group stays well within its capabilities and lets the compositions speak for themselves. Finally, there is the place. All three musicians are based in Paris, and the album was recorded in Basel, Switzerland. Neither city is exactly a world-renowned jazz hub. The location, however, proves liberating. There is no pressure on the group to conform to blues-based, American jazz expectations. For sure, The Kandinsky Effect are steeped in blues tradition. Just listen to “New Year’s Day” and revel in its dark funk. But The Kandinsky Effect succeeds because of its ability to combine the diverse influences of the bandmembers into a coherent whole. Case in point: there is only a single cover on the album, “Girl/Boy Song” by Aphex Twin, the electronica pioneers. The Kandinsky Effect is an album that can be appreciated on many levels—a cursory listen is perfect as conversation-starting background music at a Parisian soirée, while a closer listen rewards listeners with moments such as the halving of tempo in “Flow” described above. Walker, Petrina and Garrigue will continue to be heard from as they develop their individual and collective sounds. Wait until the end of the video, quite impressive and surprising! 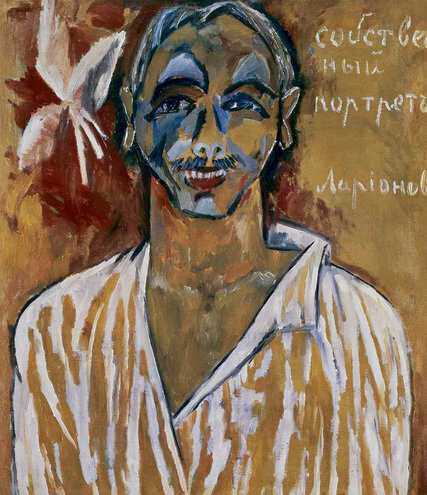 “Russian Modernism: Cross-Currents of German and Russian Art, 1907-1917” at the Neue Galerie is a lively, scattershot exhibition, with numerous paintings of great interest, others of not so much and many by Russian artists most of us have barely heard of. Containing 53 paintings and 21 works on paper, the show spans a decade when modern art movements were breaking out all over Europe — Fauvism, Expressionism, Cubism, Futurism, Dada and De Stijl. To the east, Russia was no exception. The show’s ambitious title introduces an immense subject that is beyond the resources of this small jewel-box museum. “Russian Modernism” conjures foremost the abstract purities of Suprematists like Kazimir Malevich and Constructivists like Vladimir Tatlin, tendencies of great originality built partly on ideas that flowed, mainly to Moscow, from other European capitals. The Russians, like the Germans, were especially attuned to French and Italian developments. But the show’s actual focus is narrow and not well known: an earlier expressive figuration that was especially close to German Expressionism and based on shared interests in raw color, direct paint handling and indigenous folk traditions. This focus is alluded to by the subtitle, “Cross-Currents of German and Russian Art,” best personified perhaps by Vasily Kandinsky, who lived in Germany from 1896 to 1914, where he became a founding member of the German Expressionist avant-garde group the Blaue Reiter in 1911, by which time he had one foot in abstraction. With this in mind, it is then a bit confusing to reach the final gallery — after sections devoted to urban scenes, still lifes, landscapes, nudes and portraits — and find 14 abstract works by Malevich and Kandinsky, all but one on paper. While central to a larger modernist narrative, it feels like filler in this context, as if the show’s figurative focus — rich and unfamiliar as it may be — suddenly sputtered out. That sputtering may reflect the limits of a small gene pool. All the German paintings, all the Malevich and Kandinsky works on paper and three Kandinsky paintings are either from the Neue’s collection or that of its founder, Ronald S. Lauder, whose loans are, as usual, listed as from a private collection. The rest of the Russian paintings — some 39 — are from Petr Aven, a Russian collector who has been buying seriously since 1994. 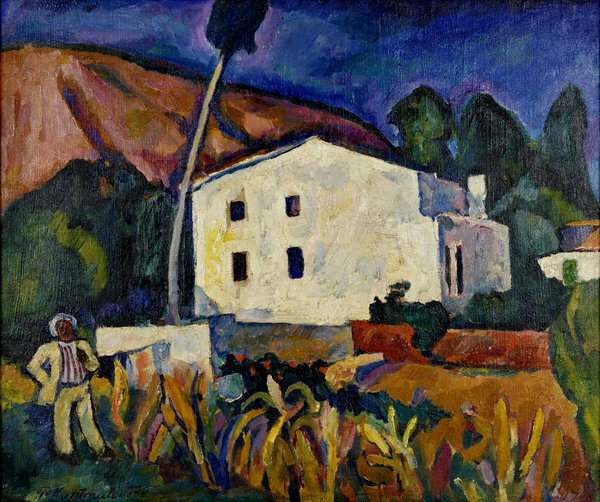 According to the Neue, he owns around 500 works, four-fifths of which are early modernist figurative paintings. Excluding the final abstract display, the exhibition is an amorphous batch of figurative works that show some artists leading, others following and still others who seem almost oblivious to the Modernist quest. It challenges the viewer to sort through it all, separating good from not-so, progressive from rear-guard; savoring what you’ve seen before and assessing what’s new. But it is at best a partial account. The Neue Galerie and the Lauder pictures are mostly German Expressionist masterpieces that have been exhibited repeatedly here, but still work their magic. Erich Heckel’s 1908 “Bathers in a Pond” lavishes broad green stripes and some red ones on the backs of two bathers, as if trumping Matisse’s more delicate use of discordant lines of green or blue down the noses in two well-known Fauvist portraits of women. Heckel’s effort is so brusquely painted that Abstract Expressionism might be just around the corner. A big street scene that Kandinsky painted in 1908 in Murnau, a Bavarian village, has been exhibited at the Neue about a dozen times. Still, it may jump out at you as never before from a yellow-green wall here, its image constructed from bright, energetic dabs of pure color. It certainly jumped for me, asserting itself as one of Kandinsky’s greatest, freest paintings, with a scale and abandon rivaling many of his abstractions. Nearby, “Study for Improvisation 8,” from Mr. Aven’s collection, shows Kandinsky the following year, already sniffing out abstraction with another village scene in which the street functions primarily as a big gold chevron that swoops into the picture from above. Many of the Russian pictures will be new to most viewers. 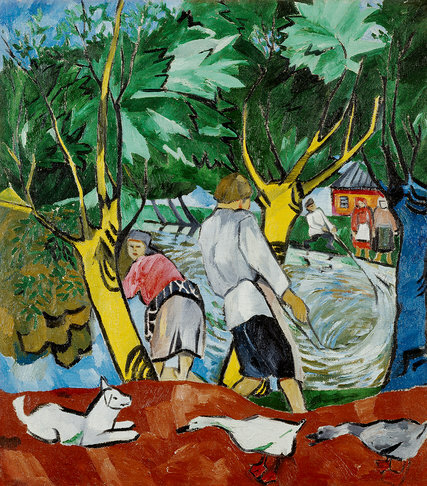 Several are little-known works by the well-established Russian modernists Mikhail Larionov and Natalia Goncharova. 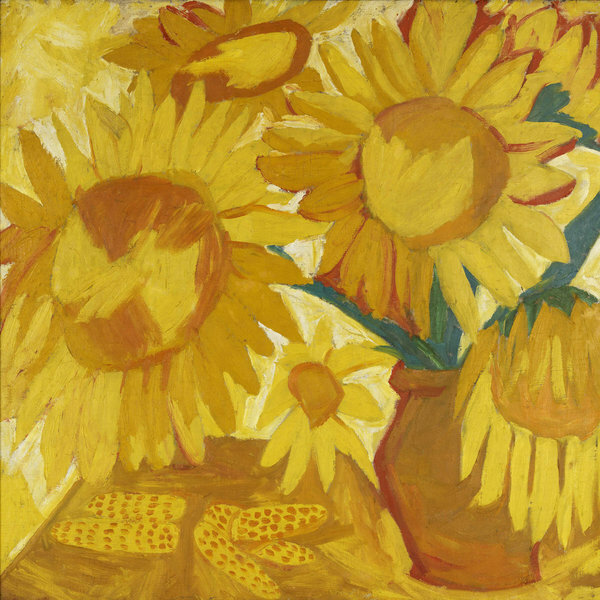 Perhaps the most astounding of these is Goncharova’s 1908-9 “Sunflowers,” a yellow-on-yellow still life that enlarges and blurs van Gogh’s most famous subject almost to the point of allover abstraction. Goncharova’s talent seems big and restless here. At the same time as “Sunflowers,” she also paints “Pond,” a more complicated, realistic landscape, tinged with Matisse’s influence. Each in a different style, the five Goncharovas here cry out for an American retrospective — and sooner, not later. But most of the Russian paintings are by relative unknowns. The most convincing is Petr Konchalovsky (1876-1956), who is represented by eight paintings — the most of any artist — that show him vigorously working in styles inflected by Cézanne and Fauvism as well as German Expressionism. 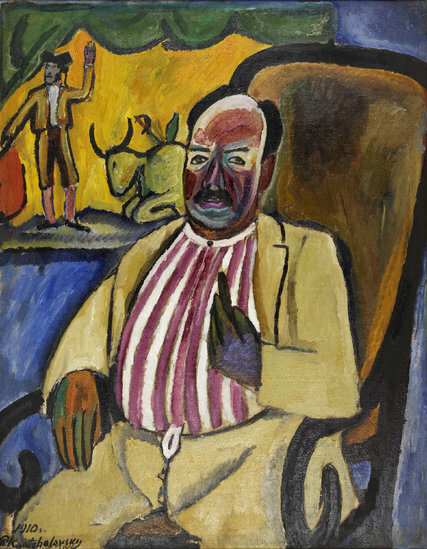 They all impress, especially the Cézanne-esque “The House of the Lover of Bullfights” and the more Fauvist “The Lover of Bullfights,” a portrait of a man whose face matches the broad red stripes of his shirt. Both of the works were made in 1910. Other pictures from Mr. Aven’s collection include four by Aristarkh Lentulov that have a decidedly Futurist flavor. 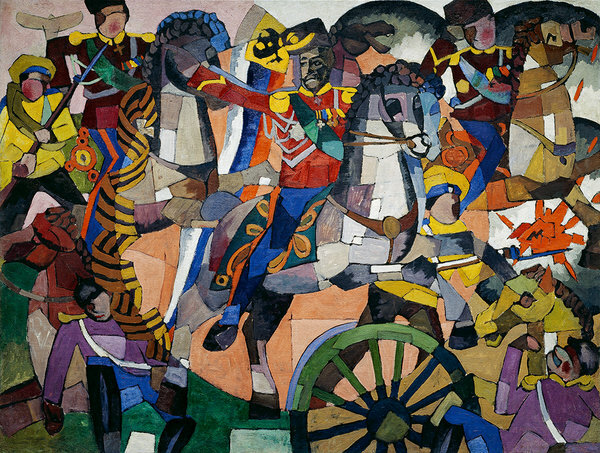 The exception is the charming “Victorious Battle (Military Panel)” from 1914, which is more a flattened patchwork of Cubism, traditional figuration and storybook illustration. Several Russians represented by single paintings from Mr. Aven’s holdings provide memorable moments. 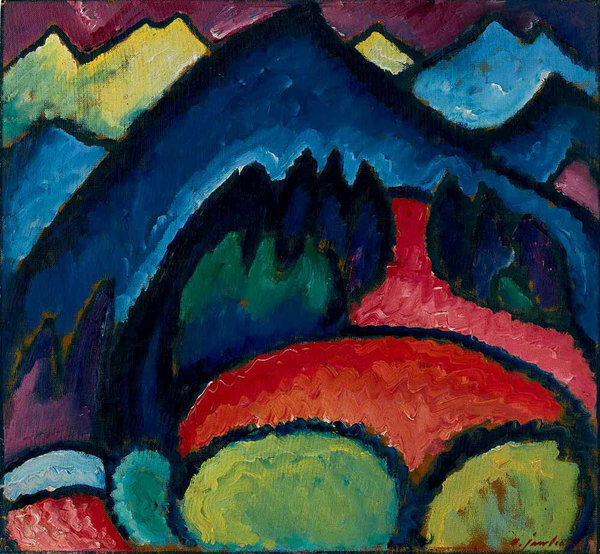 Alexei von Jawlensky’s 1912 “Oberstdorf — Mountains” locks Expressionist color into a tight structure of black lines, but keeps its surface open with squiggly brushwork. Natan Altman’s landscape pushes Cézanne toward Futurism with spherical trees and clouds lined up like cannonballs. And Vladimir Bekhteev’s “Bathing,” a seven-foot-wide giant, gentles down a forest stream and seven nymphs with mossy greens and grays. Bold in scale, assured in its synthesis of influences, the painting has a distinctive tapestrylike surface and an Edenic calm. It is some kind of masterpiece — an Art Deco precursor perhaps — especially for being made in 1910. The Neue Galerie is trying to expand its purview and credibly link its concentration on German and Austrian modernism to related developments. One problem is that its depth lies in the Austrian achievement; it has too few German works. It has, for example, given only two German artists a monographic show, while it has given several to Austrian artists and designers, sometimes more than once. Put another way: It’s hard to account for cross-currents by pitting only a dozen German pictures against more than 40 Russian ones. It would help if the Neue, now almost 14 years old, were less collector-driven and mounted shows on subjects like this with more loans from public institutions. In the meantime, this exhibition is, flaws and all, an indispensable first look at Russian modernism’s figurative beginnings. One suspects that the exhibition’s organizer, Konstantin Akinsha, a curator and scholar in Russian modernism, has made the best of a challenging situation.